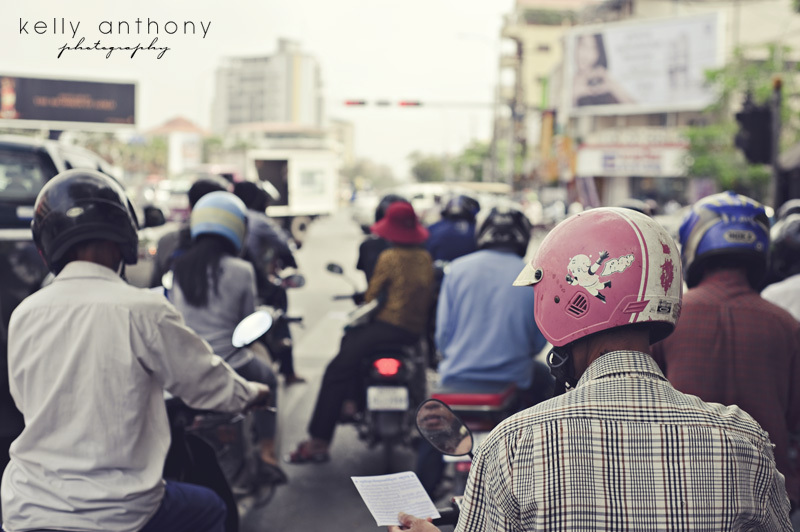 Day 25 photo: Waiting for the lights to turn green at a busy intersection in Phnom Penh. Traffic is mainly moto’s (50cc – 125cc scooters). Often companies will hand out leaflets at the lights and surprisingly everyone will accept the leaflet and read it as opposed to in Australia where we often dismiss people handing out leaflets.